The version Q Unichip is the result of 15 years of research and development. The Unichip was the very first product of its kind. It is the most modern, state-of-the-art electronic engine enhancement product on the planet and replaces virtually all older versions of Unichip with one product. Because the firmware of the version Q Unichip can be upgraded the chances are VERY good that it will fit on your future vehicle as well. It is a fully functioning computer that is added to the vehicle’s existing engine management computer. It greatly enhances the functions and capabilities of the original computer turning it into a super computer! Once the Unichip is added the engine can be perfectly tuned by a trained professional so that it makes maximum safe power at full throttle and gives optimum fuel consumption at part throttle. It can be tuned differently under different throttle and RPM conditions. It has the option of 5 user-selectable map combinations that can be programmed according to your wishes. As an example, one map can be programmed as an immobiliser map; another might be set up to lower the RPM or speed limiter if the vehicle is sent for service or lent to someone. Another might be set up for high boost (if it is a turbocharged engine) to have fun on track days etc. etc. The possible combinations are almost unlimited. The version Q has a black 24 pin and a 6 pin connector. The Version Q + is the same as the version Q but has another 16 pin connector with various additional functions. It adds drivers for direct control of things like boost control solenoids etc, etc. Your tuner will advise whether you need the normal version Q or Q + for your specific vehicle. The serial number will start with either Q or Q+ depending on which model it is. Apart from controlling general timing and mixtures the Unichip can do idling control, drive extra injectors, do various forms of boost control, do launch control, eliminate most road-speed governors, create road-speed governors, automatically enforce road speed limits in controlled areas like mines, calibrate speedometers, fully control nitrous and water injection, raise or lower the rev limiter on most engines, manipulate the response of the throttle (on modern vehicles with electronic throttle control), simulate catalytic converter signals if the converter is removed and even more. It can be best described as a "Piggyback" computer. The UNICHIP gets wired into the existing ECU harness. If it is removed the engine is back to standard. For many applications U-Connect plug and play harnesses are available giving you the ability to add or remove the Unichip system as you wish. The main difference between other after-market "chips" and the UNICHIP is that with the UNICHIP every individual engine can easily be optimised. The Unichip can normally work on new model vehicles long before any other form of chipping or serial download becomes available. Other chips or serial downloads can’t give you the choice between different maps, they can’t create immobilizer maps or governed maps if you take your vehicle for a service or loan it to someone. Other chips or serial downloads can’t be transferred from one vehicle to the other. With the version Q Unichip the chances are more than 95% that it could be fitted on your next vehicle as well. Because the firmware can be upgraded on the Unichip it can be updated in the future to suit new models. If you take your vehicle for servicing at the original dealers they can very easily (and very possibly) erase the modified serial download and replace it with an “updated” standard version of the program. A modified serial download can very easily be detected by the factory scan tools. To date we haven’t see one case where the factory scan tools could detect the Unichip. 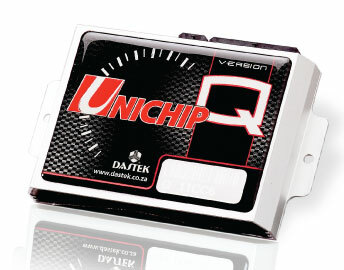 The Unichip can be programmed “real time” whereas serial downloads and other chips are simply a program that is downloaded to the ECU. The best artists in the world all make their own painting! They don’t print copies of other artists’ paintings. With the Unichip you can own an original optimised map system for your vehicle. Power, economy, efficiency, performance, fine-tuning, polished, perfection, tweaked, improved and optimised; all words that go well with a Unichip! Copyrights © 2015 & All Rights Reserved by Unichip Pakistan.